Baby Brush for the final styling of the babies hair. As seen in Rooting DVD. Professional very soft baby brush. In our training DVD, "Rooting Your Reborn Baby," we use this baby brush for the final styling of the baby's hair after conditioning. Good for smoothing and styling once the hair is glued and trimmed. These brushes are low static because of their softness. 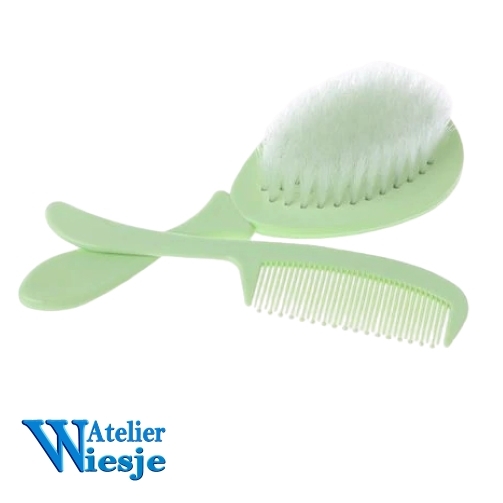 High static hard bristle brushes can pull out freshly rooted hair. These baby brushes are just the right size for final styling.